At McHenry Tint, all window tint installations are carried out by our certifed technicians while maintaining quality and safety specifications! 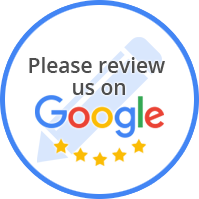 We pride ourselves in customer service & we work hard to ensure we provide the best customer experience in Modesto, CA. Whatever your auto glass repair or installation needs are in Modesto, CA, look no further than McHenry Tint! Get in touch with us today! McHenry Tint is a second-generation family-owned and operated auto glass & window tinting business that has been serving the Central Valley community since 1981. At McHenry Tint, we offer expert window tinting for all types of vehicles in Modesto, CA. 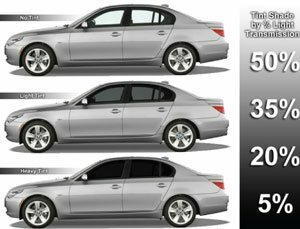 When we are finished with your vehicle, you will have great looking tinted windows that look like they originally came that way. As we all know, there are a huge number of upgrades and tweaks that can be made to almost any vehicle. One popular change is tinting your windows. However, before you decide whether or not window tinting is for you, it's a good idea to look at the benefits of tinting your windows. This is the most obvious benefit that many car owners think about when deciding to tint their windows. The amount of temperature savings you'll get depends on the degree of the tint, but if you live in a warm state, even a small difference might be enough. Window tinting will also provide a bit of added protection from the ultraviolet rays coming from the sun. Like temperature savings, the amount of UV protection depends on how dark the tint is. Window tinting makes it much harder, if not impossible, for a person to see within your car. This will often help deter a thief who is looking to make a quick grab of anything you may have lying in the seat. By blocking the sun's rays from reaching the interior of your car, things like leather seats and carpeting will have a longer lifespan. For many people, window tinting adds to the style and overall appearance of the vehicle. Even a less expensive car can look more like a luxury car when it has a tint. At McHenry Tint we offer premium quality vehicle paint protection. The paint protection is installed on the most vulnerable areas of your vehicle to protect the paint from chipping due to rocks, sand, and road debris. This protection is a barrier that absorbs the impact leaving your car’s paint in like-new condition. 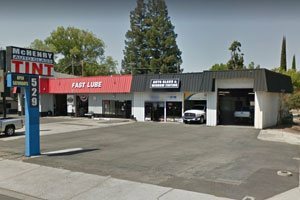 We offer car paint protection and truck paint protection for all your automotive paint protection needs in Modesto, CA!